This Mother’s Day, stand with working women in California fighting for stability for their families! Working people know how tough it can be to juggle work, school, family commitments, and everything else life throws our way. But for folks who work in hourly jobs it’s even more difficult when job schedules are not posted in advance and bosses can change, add, or drop hours at the very last minute. This tends to happen a lot in retail, an industry where women hold over 60% of the jobs. In California, nearly 1 in 3 mothers receive their work schedules one week or less in advance. It is time to for Reliable Schedules. Our mothers deserve it! 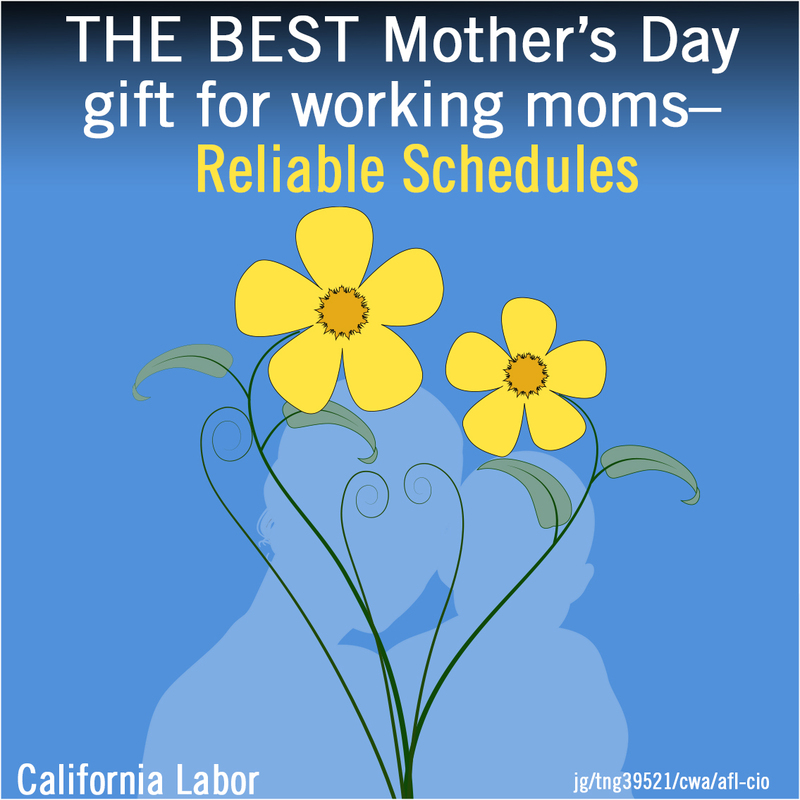 Tell California Legislators California Mothers Deserve Reliable Schedules.